Calvary Cemetery, East Los Angeles, California, U.S.
John Hodiak (April 16, 1914 – October 19, 1955) was an American actor who worked in radio, stage and film. Hodiak[needs IPA] was born in Pittsburgh, Pennsylvania, the son of Walter Hodiak (October 25, 1888 – August 21, 1962) and Anna Pogorzelec (February 28, 1888 – October 17, 1971). He was of Ukrainian and Polish descent. Hodiak grew up in Hamtramck, Michigan. Hodiak had his first theatrical experience at age 11, acting in Ukrainian and Russian plays at the Ukrainian Catholic Church. From the moment he first appeared on the stage, he resolved to become an actor. Hodiak was not even swayed when as a third baseman on his local high school baseball team, he was offered a contract with a St. Louis Cardinals farm club. He turned the offer down. When Hodiak first tried out for a radio acting job, he was turned down because of his accent. He became a caddie at a Detroit golf course, then worked at a Chevrolet automobile factory – and practiced his diction. When he conquered the diction hurdle, he became a radio actor and moved to Chicago. There Hodiak created the role of the comic strip character Li'l Abner on radio. Hodiak also had the role of McCullough in the radio soap opera Girl Alone. Hodiak arrived in Hollywood in 1942 and signed a motion picture contract with MGM. He refused to change his name, saying, "I like my name. It sounds like I look." Hodiak was cast in a few small parts at MGM, including A Stranger in Town (1943), I Dood It (1943) and Swing Shift Maisie (1943). 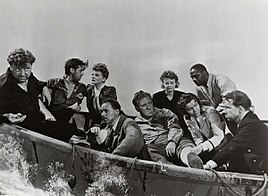 Hodiak then caught the eye of director Alfred Hitchcock and, on loan to 20th Century Fox, was featured in Lifeboat (1944) opposite Tallulah Bankhead. MGM was impressed and cast him in the third lead in Song of Russia (1944) supporting Robert Taylor and Susan Peters. He was Ann Sothern's love interest in Maisie Goes to Reno (1944) and competed with James Craig for Lana Turner in Marriage Is a Private Affair (1944). 20th Century Fox borrowed Hodiak again to play the title role in Sunday Dinner for a Soldier (1944), opposite Anne Baxter whom he married in real life. Fox kept him on to play Maj. Joppolo in A Bell for Adano (1945) opposite Gene Tierney. Back at MGM, Hodiak was in The Harvey Girls (1946), second billed as Judy Garland's love interest. Fox gave him his first proper star part in Somewhere in the Night (1946), directed by Joseph L. Mankiewicz. Hodiak played opposite Lucille Ball in MGM's Two Smart People (1946), which lost money. So too did the thriller The Arnelo Affair (1947). Hodiak went to Paramount for Desert Fury (1947), playing third lead to Burt Lancaster and Lizabeth Scott. He starred in Love from a Stranger (1947) for Eagle Lion, then supported Lana Turner and Clark Gable in Homecoming (1948). He supported Gable again in Command Decision (1948). The two Gable films were hits but Hodiak was voted "box office poison" by exhibitors at the end of 1948. Hodiak was down the cast list for The Bribe (1949). He was second billed in MGM's war film Battleground (1949) a huge success. Also popular was Malaya (1949) where Hodiak supported James Stewart and Spencer Tracy. Hodiak was a love rival for Robert Taylor in Ambush (1950), a popular Western. MGM gave him another lead role, co-starring with Hedy Lamarr in A Lady Without Passport (1950), but it lost money. He was third billed in The Miniver Story (1950), the flop sequel to Mrs. Miniver, and fourth lead in Night into Morning (1951), an unsuccessful comedy. Hodiak supported Spencer Tracy in The People Against O'Hara (1951) and Clark Gable in Across the Wide Missouri (1952). He was second billed to Walter Pidgeon in The Sellout (1953). In 1952, Hodiak went to New York City and made his Broadway debut in The Chase by Horton Foote and directed by José Ferrer. The play was a failure, but its star received fantastic critical notices. Hodiak went over to Allied Artists to star in a low budget Korean War film, Battle Zone (1952). At Columbia he starred in two Westerns, Ambush at Tomahawk Gap (1953) and Conquest of Cochise (1953) and a Korean War film, Mission Over Korea (1953). He did another Korean War film for Allied Artists, Dragonfly Squadron (1954). He then originated the role of Lieutenant Maryk in Paul Gregory's production of the play The Caine Mutiny Court Martial (1954–55) by Herman Wouk adapted from his novel The Caine Mutiny. The play – also starring Henry Fonda and Lloyd Nolan – ran for two years and Hodiak's portrayal brought him nationwide acclaim. When the show closed after its U.S. tour, Hodiak began work on Trial (1955) at MGM, billed fourth as the prosecuting attorney. When it wrapped, he played Major Ward Thomas in On the Threshold of Space (1956) at 20th Century Fox. Hodiak and actress Anne Baxter (whom he met while they were starring in Sunday Dinner for a Soldier) married on July 7, 1946, and divorced on January 27, 1953. They had one daughter, Katrina Hodiak (born July 9, 1951), who became an actress. Hodiak was a frequent visitor to the King Ranch in Kingsville, Texas. He and others were guests of Zachary Scott, whose sister had married into the ranch owner's family. At age 41, Hodiak suffered a fatal heart attack at parents' home in Tarzana, California. He was acting in On the Threshold of Space; it was later decided that his performance was far enough along to release the movie. He is interred in Block 303, Crypt D-1, of the main mausoleum at Calvary Cemetery, East Los Angeles. He left an estate of $25,000. Hodiak has a star on the Hollywood Walk of Fame at 6101 Hollywood Boulevard, for his work in radio. 1948 Hallmark Playhouse "The Desert Shall Rejoice"
1952 Suspense "The Big Heist"
1953 Suspense "Gold of the Adomar"
^ "Successor to Gable?". Big Springs Daily Herald. September 30, 1943. p. 4. Retrieved June 15, 2015 – via Newspapers.com. ^ a b c Maltin 1994, p. 491. ^ "From Radio To Screen". Voice. 20 (2). Tasmania, Australia. 11 January 1947. p. 4. Retrieved 31 October 2017 – via National Library of Australia. ^ Fairfax, Arthur (December 28, 1940). "Mr. Fairfax Replies" (PDF). Movie Radio Guide. 10 (12): 43. Archived from the original (PDF) on January 19, 2015. Retrieved 19 January 2015. ^ "JOHN HODIAK and his wife". Western Mail. 62 (3, 536). Western Australia. 3 April 1947. p. 22 (Women's Magazine). Retrieved 31 October 2017 – via National Library of Australia. ^ "Introducing JOHN HODIAK". The North Western Courier. XXVII (57). New South Wales, Australia. 26 July 1945. p. 6. Retrieved 31 October 2017 – via National Library of Australia. ^ "Mary Armitage's Film Close-ups." Sunday Mail (Adelaide) Sunday Magazine Supplement, January 29, 1949, p. 3. Retrieved: May 18, 2013. ^ "Hollywood Tragedies, 3—JOHN HODIAK". The Mirror. 36 (1811). Western Australia. 11 February 1956. p. 8. Retrieved 31 October 2017 – via National Library of Australia. ^ "Actor John Hodiak Dies Of Heart Attack at 41" Schenectady Gazette, October 20, 1955, p. 29. ^ John Hodiak Dies Suddenly of Heart Attack Los Angeles Times (1923-Current File); Los Angeles, Calif. [Los Angeles, Calif]20 Oct 1955: 1. ^ Goldin, J. David. "Hallmark Playhouse". RadioGOLDINdex. Retrieved 3 March 2018. ^ "Those Were the Days". Nostalgia Digest. 37 (4): 38–39. Autumn 2011. ^ Kirby, Walter (November 30, 1952). "Better Radio Programs for the Week". The Decatur Daily Review. p. 48. Retrieved June 14, 2015 – via Newspapers.com. ^ Kirby, Walter (March 15, 1953). "Better Radio Programs for the Week". The Decatur Daily Review. p. 46. Retrieved June 25, 2015 – via Newspapers.com. Maltin, Leonard. "John Hodiak". Leonard Maltin's Movie Encyclopedia. New York: Dutton, 1994. ISBN 0-525-93635-1. Wikimedia Commons has media related to John Hodiak. This page was last edited on 30 March 2019, at 23:57 (UTC).